Wireless networks are inherently less secure — or at least more prone to being hacked — than wired networks. That’s simply the nature of a broadcast-based mode of communication: it’s much harder to hack into a router that requires you to physically plug in. Which is why Wi-Fi security is such a hot topic. 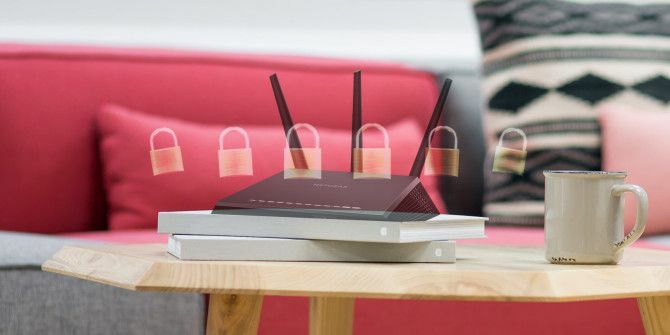 And one of the first things users typically want to do to secure their networks is hide their routers so that passersby won’t be able to see and/or connect to said networks. In this post we’ll show you how to do that, but we’ll also explain why this may not be the best thing to do if security is your main concern. Why Hide Your Wi-Fi Network? According to IEEE 802.11 standards, every wireless network must have an identifier that’s used by devices to connect to that network. This is called the Service Set Identifier (SSID), but don’t let the faux-complexity fool you. It basically means “network name”. And if you were to stop your router from shouting all of that nonsense, you probably think your router would effectively become invisible. If a network doesn’t broadcast its presence, then devices won’t know about it, and therefore won’t be able to connect. Right? Wireless signals are all the same: they start at a source (your router) and travel out in all directions (think of an ever-expanding sphere). There’s no way to “aim” a Wi-Fi transmission in a straight line from your router to your computer, and even if you could, you wouldn’t be able to stop the signal as soon as it reached its intended recipient — it’ll keep going. Let’s assume that your wireless network is NOT broadcasting its SSID. Nobody knows it exists except you. You go ahead and establish a connection to it and start using Wi-Fi as normal. When you visit a website, for example, your router broadcasts a signal with that website’s data, and your computer receives it as the signal passes by. But the problem? This signal still has to travel through open air, which means anyone in its radius could intercept it. In other words, even if your network stops broadcasting its SSID, hackers and malicious users can still find it by intercepting 1) your transmissions to the router and 2) your router’s transmissions to you. All of this means that hiding your network is NOT an effective security measure — at best, it’s a deterrent that will only keep out the most tech-unsavvy of people. Someone who wants to hack into your network will still have other ways to get in. Security by obscurity is not true security! Change the default admin credentials. A quick search on the internet can reveal the default admin usernames and passwords for nearly any router brand and model combination. If you don’t change this, all other security settings are for naught. This should be the first thing you do with any router 10 Things You Must Do With a Brand New Router 10 Things You Must Do With a Brand New Router Whether you just bought your first ever router or upgraded your old one to a new one, there are several crucial first steps that you should take right away to set up properly. Read More ! Encrypt using WPA2 and AES. Remember, your router is always broadcasting signals in all directions — but you can make these signals uninterceptable by encrypting them. 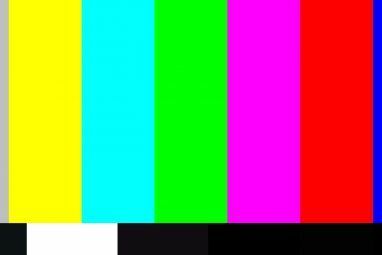 Doing this, any signal meant for your computer will only be readable by your computer. 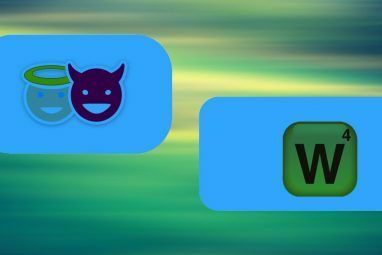 See our comparison of Wi-Fi security options WEP vs. WPA vs. WPA2 vs. WPA3: Wi-Fi Security Types Explained WEP vs. WPA vs. WPA2 vs. WPA3: Wi-Fi Security Types Explained There are many types of wireless security but which should you be using? Which Wi-Fi is most secure: WEP, WPA, WPA2, or WPA3? Read More for more info. Disable the WPS and UPnP features. These are convenience features that have lots of big security vulnerabilities, mainly the ability to circumvent other security features (like firewalls), so we recommend turning them off ASAP. Again, we’ve only scratched the surface here. You’ll also want to explore these important router features everyone should be using 10 Crucial Features to Use in Your Wireless Router Setup at Home 10 Crucial Features to Use in Your Wireless Router Setup at Home Most wireless routers are equipped with a handful of amazing features that you probably aren't taking advantage of. Here are some of the more useful ones to start exploring right now. Read More for a better overall experience. Okay. You’ve gotten this far in the post and you still want to hide your SSID? That’s cool. We’ll show you how to do that — and you’ll be glad to know that it’s much easier than you’d expect. Start by logging into your router’s admin panel. For me, this means going to 192.168.0.1 in my browser, but it may or may not be the same for you. For example, most Netgear users can reach it by going to routerlogin.net instead. Note that you may need a wired LAN connection to your router for the browser login to work. Next, look in the navigation bar for the Wireless section. If you have submenus, look around for something close to Wireless Settings, Wireless Options, Wireless > Basic Settings, etc. That’s pretty much it. Save the settings, which may or may not require your router to restart, and your router will become “undetectable” to devices. When you’re setting a password for your network, make sure you pick one that’s strong — and this applies for both the admin password and the wireless connection password. And if you have wireless dead zones or overall poor signal in your house or apartment, you may be able to solve your woes by getting a Wi-Fi extender or powerline adapter. Security doesn’t end with your wireless network. Be sure to follow these tips for securing your smart devices as well. If you’re willing to invest in a Raspberry Pi, you can then learn other skills that improve your online security 8 Ways a Raspberry Pi Can Help You Learn Online Security Skills 8 Ways a Raspberry Pi Can Help You Learn Online Security Skills Want to know more about online security? The Raspberry Pi is the perfect tool to get you started, as shown in these DIY projects. Read More . Explore more about: Online Privacy, Router, Wi-Fi. My neighbour who stalks me (no I'm not psychotic) bangs her kitchen cupboard door once when I login to my computer. She is obsessed with me and the single bangs are non-coincidental and occur regularly. Be it any of the 5 tricks you will use to transfer data among 2 laptops or PCs, I would strongly recommend using GS RichCopy 360 as it will boost the transferring process. And no matter how bulky your data will be, it will be taking allot less to copy all the data than usual process. So you must use this software to get your job done really fast and easily. The additional features will make the data transfer allot easier and interesting for you. Must give it a try. Sorry for the "oh-so-late" response (this is MY first time on this site). When logging into the office's WiFi, if using Chrome, you may want to go what is called "Incognito". In the top right corner of the Chrome browser, there is a black, square looking object, yiu can click that and a sort of "wizard" will appear to assist you. Or you can click on settings in any web browser, click "Tools", "Internet Settings", then "Incognito". Now this process WILL still show (if someone happens to monitor your system), that you are using a browser, but it WILL NOT detect or identify the "sign of WiFi" (as you mentioned above). how about connecting a new device after u have hidden the wifi cgnal? i think u have to "add" or go to "other network" is that right? then there's a certain username and password for that... how to set that up or procedure? thanks! yes, in the phone or laptop wifi setups, find and tick connect even if not broadcasting. When using mobile phones and/or devices, after SSID is hidden, your Mobile Hotspot feature will need to be turned on, on all devices. Never realised you could hide your network from other people seeing it - that is very useful indeed! I'll be using it for our IR35 network. This basically screws up any short term attempt to crack the network. Dictionary attacks will fail, compiled Rainbow tables with common combinations and data associated to you, the company, your location and other reasonable stuff are rendered useless. This leaves the cracker only the option to use brute force. Unless this person got access to a supercomputer or a huge nVidia Tesla farm it will take dozens of years to crack it. I didn't mention the use of special characters (_-@#$%^&*) for the simple reason that some devices can't handle these. A MAC address filter is not a secure method of locking your wifi. An attacker can easily spoof a MAC address (borrowed from one of your connected devices), and connect to your network. The best way to secure your network is to use WPA (PSK) or WPA2 ensuring you use a random character password over 14 characters long. It seems hiding your SSID will not help you secure your wireless network from those experienced hackers but will secure your network for those less techy ones. I guess, there is no effective way than having a good password and change it often. Not to be mean, but the only real way to keep your network safe is to keep everything wired and make sure you have good locks on your doors and windows. LOL... there is no better security for a determined thief. No, some devices don't. It's an side effect, as Mike noted below. This is not something I'd consider an optimal or recommended solution. 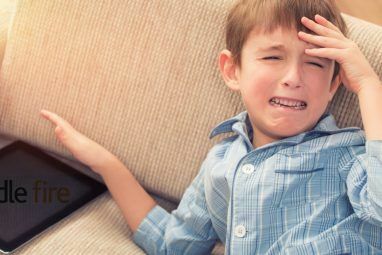 I actually hoping that people who might have simply hidden their SSID and called everything fine and dandy will come away with this article with an understanding of why it's not really a good form of security. I don't think this is something I'd suggest. Yes, it's likely that someone who would spoof a Mac address has tools for cracking networks. But security is often about making things harder, even when you know your efforts don't make breaching your security impossible. Even cracking WEP security isn't something I would call "easy." Cracking WPA is something only people who truly are hackers are going to have the patience and knowledge to do. Still, to each there own. I just wouldn't recommend this to most people. Rather than hiding it, some routers allow you to create an access list of MAC addresses. That way, regardless of whether or not the router is password protected or the SSID is hidden, only computers you own and add to the access list can access the router. I just created an access list and left the network open. It allows machines with older operating systems to connect easily. Your MAC address is send with every single packet unencrypted! All I have to do is capture ONE packet to get my hands on it. Then I use one of the thousends of options to spoof my adapters address to the one I captured and I'm in your network. Don't get me wrong ~ I'm a friend of MAC Filtering myself but it's just another layer of obstacles not security [like SSID Hiding]. The only benefit of MAC Filtering is that you will be notified if your computers MAC is used more then once within the network at the same time since it's supposed to be a unique Address. You probably have a Laptop, Mobile Phone plus a third WiFi device connected to your network. If I want to get in all I have to do is wait for one device to go offline (no more data from this MAC address captured) and then use it to gain access. Yes, I understand that. But someone who can spoof a mac address usually also has the tools to scan for unbroadcasted SSID's and even then is very likely to have the tools to crack WEP or WPA encrypted networks. It's only a suggestion for those who even dare to stoop so low to stop broadcasting their SSID's. Just for the record, it takes less then 5 minutes to crack WEP. I know this from experience. As for WPA, if you change your password frequently (i.e. every 2 weeks for random characters) then you should be fine. If you don't then you have a problem. WPA can be cracked offline. You only need to capture so many packets and then you can go home and run those packets through a cracker. WEP has to be cracked while in range of the network. Here is the problem: SSID Broadcast is part of the IEEE 802.11 specification. Hiding your networks SSID will cause problems in some way or another. This includes some devices not being able to connect to the network, problems with automatically connecting and authentication problems depending on your security and encryption settings. The other point is that your SSID will still be broadcastest ~ not from your Router, but your device if it is set to automatically connect to the network. Instead of looking through the available networks your device will broadcast the SSID constantly [and everywhere] waiting for an answer from the Router. One problem I find with this though is that my devices don't seem to connect automatically to the network..
You should consider that some devices and computers do not like connecting to networks with hidden SSID making it a pain to keep some home networks running smoothly. Thanks for sharing, now i can keep my neighbors from finding my connection.